Congratulations to Katie Biddlecombe, Owen Grimes, George Nicholson Jack, Ben Sparrow, Ben Teschner, Aaron Danson, Joshua Hannam. 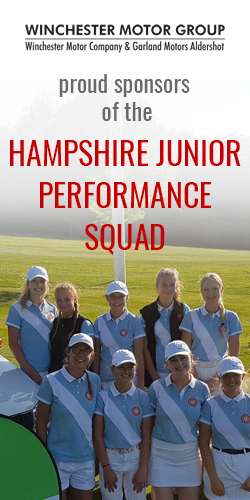 These juniors have recently successfully competed in the Sports Inter Media JTG Championship representing their home club Romsey GC. The team won all three of their group matches before meeting Beadlow Manor from Bedfordshire in the final. The team drew the final 3-3 narrowly losing on count back of holes 10-7. Congratulations to Romsey Juniors for reaching the final and playing so well.